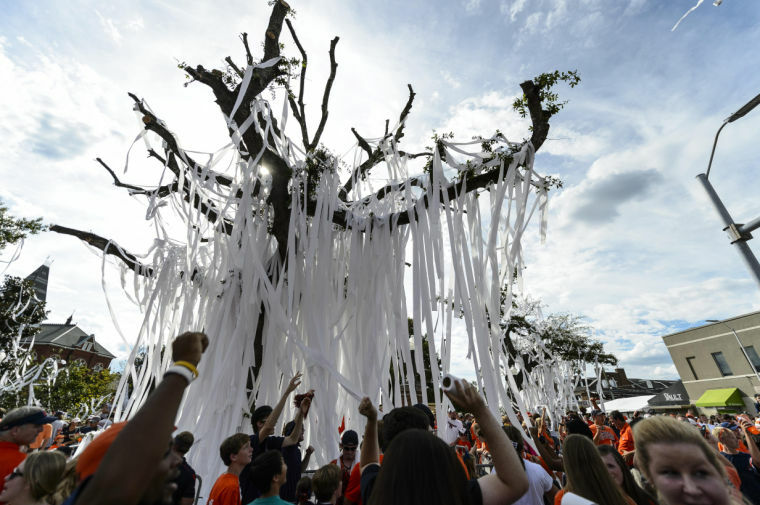 Harvey Updyke’s attorney will roll the Toomer’s Oaks for the last time on April 20. Harvey Updyke’s attorney is going to the final rolling of the Toomer’s Oaks. Why wouldn’t he? So how was it defending the man who stole the oaks from future generations of Auburn fans? Stanley wasn’t the only person representing Updyke with strong feelings for Auburn. He says Margaret Brown, his co-counsel in the Updyke case and an Auburn native, has a “as a tiger coming out of the orange and blue wall in the bathroom in her office.” Brown graduated from Auburn in 1977 and maintains her law office in the iconic Freewheeler building on N. College Street. Updyke didn’t seem to mind. Some Auburn fans, Stanley’s friends included, wish he hadn’t done it so well. More on the the Toomer’s Oaks: Toomer’s Oaks souvenirs will be branded ‘Auburn Oaks’ / Woodturned item made from Toomer’s Oaks will be on permanent display in Auburn art museum / Toomer’s Corner rollings didn’t start with Punt, Bama, Punt, says History / Did Auburn students celebrate Bear Bryant’s death by rolling Toomer’s Corner? That is the reason I could never be a lawyer. To defend people that I know that are scum would not let me sleep at night. i understand that everyone has a right to the best defense and to make sure that their rights are not violated. I just could not do it. I worked with Andrew during our first few years of practice. He is a fine Auburn Man, which he showed by his professionalism in the Updyke case. I’d like to think that his professionalism is what makes the attorney an Auburn man–I’d also like to think that if the school loyalties were reversed, that a Bama attorney would be the same. However, on point No. 1, I think that is the essential problem with law profession these days–the lawyers define their roles the way they want, and justice and truth get left out of the definition. On point No. 2, let’s just say that the I think that percentage chance would be lower with the reverse situation than with the original school alignment.